Today is the 73rd anniversary from one of the most horrible events in human history. 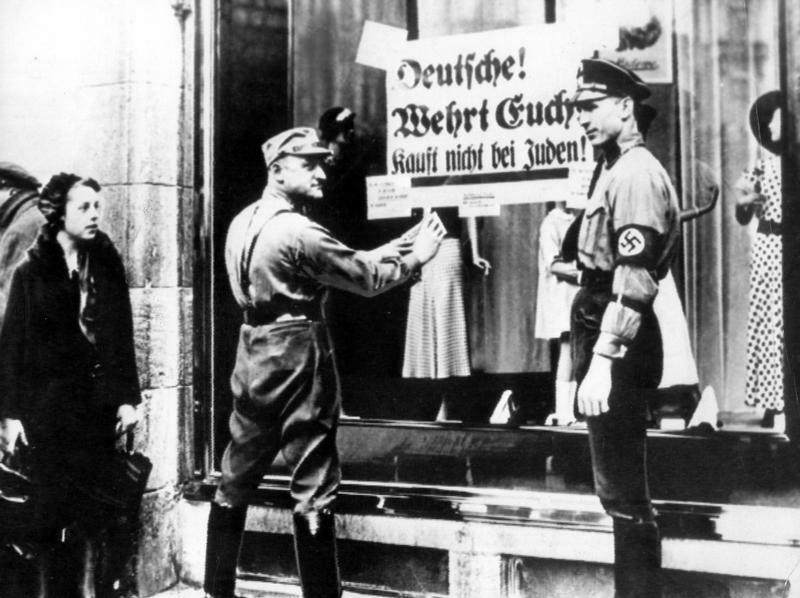 From November 9 – November 10, 1938 the Nazis in Germany celebrated their “Kristallnacht”, an euphemistic term that isn’t used in Germany anymore, because it plays down the events of the night. 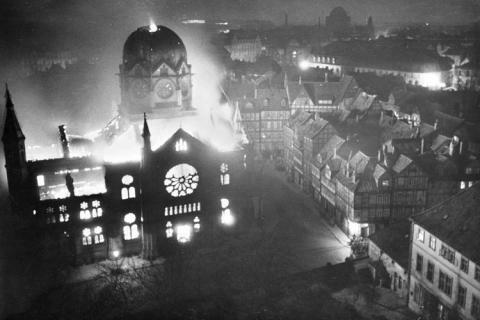 In a series of attacks synagogues, houses and businesses of Jews were burned down in Germany and Austria, many Jews were beaten, shot or committed suicide that night, thousands were deported to concentration camps in Dachau, Buchenwald, Sachsenhausen, etc. Read a detailed description of the events here. Only after one of the party members was worried that his house was going to catch fire, were we allowed to use water. But, even then, we just had to stand and watch until the House of Prayers was reduced to rubble and ashes. Also watch this video with clips of Holocaust survivors talking about their experiences during the pogroms. The numbers of casualties cannot truly be determined, because so many Jews died later from the injuries or they later on died in the concentration camps they were deported to that night. The Ashkenaz House, the descendants of the orthodox German Jewish communities now living in Israel, the USA and England, tries to compile a list of the victims on their website. There, descendants of the victims can fill out a form with the names, cause of death etc. At this moment the list holds over 600 names. The official number released by the Nazis was 36! Nevertheless the number of victims must be way higher considering that over 30 000 Jews were deported to concentration camps during the pogrom. I hope by remembering the past events, not only the Novemberpogrom but also all the other cases of genocides during our history, we can learn to be more tolerant towards each other. We now live in the age of human rights with religious freedom, freedom of speech and equality (at least in the “modern” countries, if you can call them that), but still there is racism, antisemitism and hate among us. What happened on those horrible two days in November happens again and again today, there are still people beaten up, called names or even killed because of their ethnicity, religion, political opinion etc. Thus, I think it’s really important to watch videos like the one above and to study past events in order to remember that our age of human rights was born out of an age of hate and violence. Who knows what the future holds! No Replies to "Remember the Novemberpogrom ("Kristallnacht"), Nov. 9 &10 in 1938"